Park City Recently Fired 90 Volunteer Ski Patrollers and Canceled the Volunteer Patrol Program. 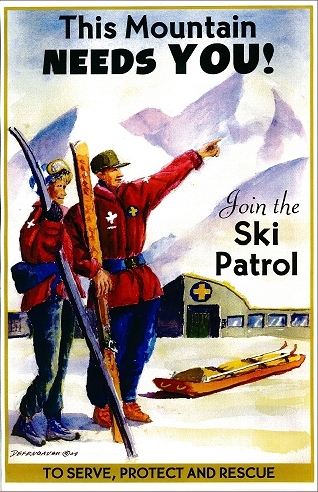 Volunteer ski patrollers make up an essential safety program in most ski areas. They carry out and assist with countless rescues, medical aid calls, and help enforce safe skiing on the mountain. They also assist guests by providing guidance, directions, and information on weather and conditions. At many ski areas around the country, especially smaller ones, volunteer patrollers make up the backbone of the ski patrol. Park City’s decision to cancel its program is puzzling. Its also hard to understand how Park City thinks it will make its mountain safer for skiers with fewer patrollers working the mountain. According the a recent news article, Park City will have to replace over 10,000 volunteer patrol hours with pro-patrol staffed hours if it wants to maintain the current level of coverage. After recently merging with neighboring Canyons Resort and combining the mountains with a gondola, Park City is now one of the largest ski areas in North America. There’s no question that patrol has a massive area to cover with an equally massive number of patrol duties. Considering the number of skier visits the sprawling resort sees each year, its surprising Park City is not moving in the opposite direction – to expand its ski patrol presence. Reportedly, the local patrol association is critical of the move. At this point, Park City has not made its new plan as to how it will patrol the mountain public. It has issued a statement that it will be hiring more full-time patrollers for the upcoming season. Whether this move will actually make up for the loss is yet to be seen. Whatever Park City decides to do with its patrol this season, let’s hope it puts mountain safety first.